Residences designed to make you feel at home. 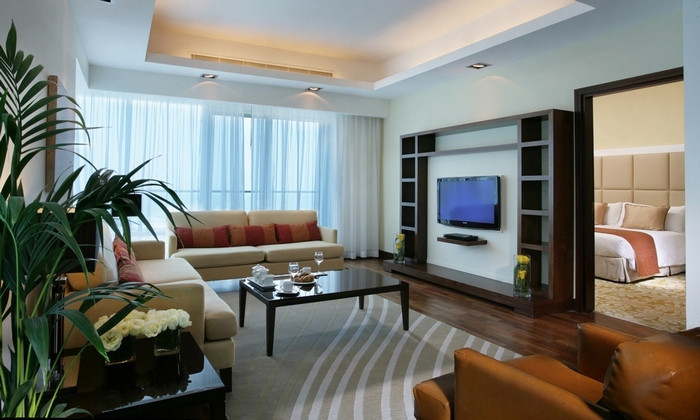 Located in popular locations throughout the city, Your Serviced Apartments helps you avoid the rushed and often chaotic environment of a Hotel in Dubai. We provide you with a first hand experience of what it's like to be a full time resident here. Located in accessible locations across Dubai we aim to provide you with a luxury 5 star environment that caters to your personal and professional life whilst staying in any of our Dubai Properties. More than just a quick visit. We understand that working away from home is not easy and being somewhere comfortable and relaxing is important. Whether a short or long term accommodation in Dubai, we focus on providing you with a Luxury Apartment experience which caters to business professionals from around the world. All of our Apartments in Dubai are well-maintained and looked after making them a great place to stay in Dubai for a short or long stay. Our expert team have all the knowledge you need to find a serviced apartment right for you and your budget. We can provide information about from locations, social aspects, peak travel times and more. We understand that relocating to Dubai can be quite a daunting process. Where to live, which forms to complete, where to go shopping and still manage the new day job can be quite difficult. Being in a new city can be quite daunting, especially if there's an emergency of some sort. Should you need to speak to one of the team at any time you can contact us on our 24/7 emergency maintenance line. "I haven't been everywhere but it's on my list"
Travelling is one of the most amazing things to do in life. It gives us the opportunity to experience new cultures, visit beautiful places and experience things once unfamiliar to us. There are a large number of travellers who visit Dubai for sustained periods of time and whilst hotel rooms are what most consider the norm, these are not exactly comfortable or cost effective for longer stays. Leisure travellers in any of our Apartments in Dubai will no longer have to put up with small rooms, high prices and lack of privacy. Your Serviced Apartments also affords the modern day traveller an opportunity to enjoy the luxury of feeling at home during their travels. As a company managed by frequent travellers we understand and appreciate the importance of having the appropriate amount of space and amenities you would expect at home. The stylish and fully furnished apartments offered will provide you with a place to call home, even if only for a few weeks. Fully furnished apartments, full kitchens with separate living and bedroom spaces. When compared to the square feet you would usually receive when staying in a hotel it's quite easy to understand why most people are beginning to opt for Serviced Apartments. Dubai excels as both a prominent tourist spot and dynamic business centre. A trip to Dubai now only launches you to the centre of the Middle Eastern business world but also heightens your understanding and appreciation for the direction business in the UAE is heading.